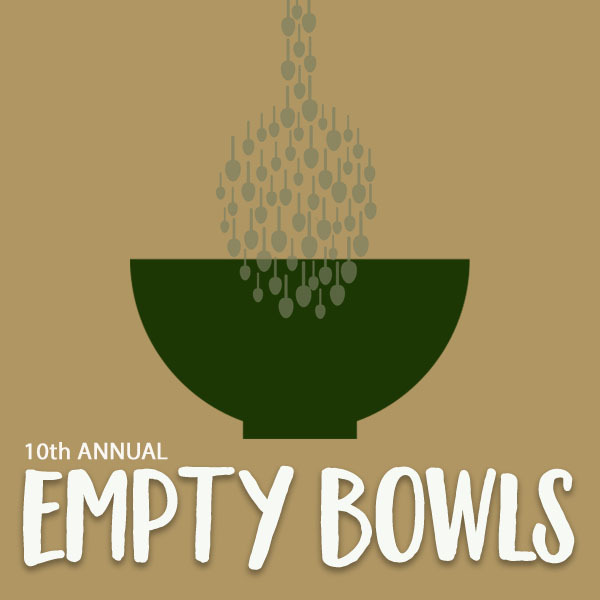 Make plans to join us for our 10th Annual EMPTY BOWLS Dinner, an event for the whole family! EMPTY BOWLS is an international project to fight hunger, personalized on a community level. The goal behind EMPTY BOWLS is to raise awareness about the issues of hunger and food security. Local sponsors provide hand-crafted bowls and serve a simple meal. Guests choose a bowl for their meal and keep it as a reminder of all the empty bowls in the world.